Qualification: Masters degree in Persian or Arabic with Medieval Indian History as subjects at the Bachelors degree level or equivalent. Or Masters degree in History with Medieval Indian History as a subjects and Arabic or Persian as one of the subjects at the Bachelor degree level or equivalent. i). Degree in Home Science along with Diploma in Dietetics from a recognised university or institute. ii). Two years experience as a Dietician in Hospital or Medical institute. i) 12th Standard pass or equivalent. ii). Possession of a Certificate of Competency as Mate Fishing Vessel issued by Mercantile Marine Department. Qualification: Master degree in Marine Biology or Zoology or Oceanography or Fishery Science or Fisheries Management or Industrial Fisheries or Aquatic Biology in Fisheries from a recognised university. Or Postgraduate Diploma in Fishery Science of the Central Institute of Fisheries Education, Mumbai. ii). One years experience in Government Department/ Undertaking. i). Matriculate or equivalent with one year Diploma in Book-Keeping or Store Keeping. i). Must have passed Matriculation or equivalent examination. ii). Knowledge of practical experience of photography and photomicrography, developing, printing, enlarging, copying and preparation of lantern slides. iii). Two years experience of taking indoor and outdoor photographs of zoological objects. Qualification: Masters degree in Geography. Qualification: Degree in Commerce or Economics or degree in Law from a recognised university. 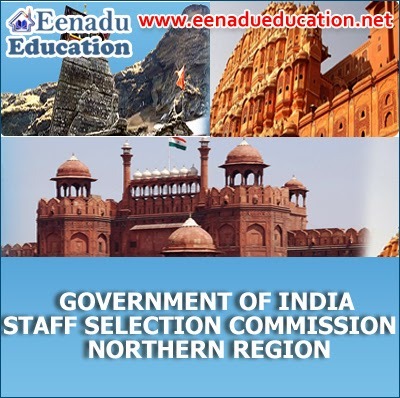 Qualifications are relax able at the discretion of Staff Selection Commission in case of candidates otherwise well qualified. Qualification: Degree from a recognised university or institution with Commerce or Accounts as one the subject. Qualification is relax able at the discretion of the Staff Selection Commission, for reasons to be recorded in writing, in case of candidates otherwise well qualified. i). Bachelors degree in Science with Chemistry as a main Subject. Or Diploma in Chemical Engineering/ Chemical Technology. ii). Two years experience in Quality Assurance of Explosives or Chemicals. Qualification: Diploma in Material Management or any Diploma having Material Management as a subject or Diploma in Pharmacy from a recognised university or institution or equivalent. i). Degree of recognised university or equivalent. ii). Bachelors degree or equivalent Diploma in Library Science of a recognised university or equivalent diploma in Library Science of a recognised university/ institute or equivalent. iii). Professional experience in a Library of standing or Certificate in Computer Applications from a recognised institute. ii).Three years Diploma in Mechanical Engineering from a recognised university/ or equivalent. ii). Three years Diploma in Electrical/ Mechanical Engineering from a recognised university or equivalent. How to Apply: The completed application in the prescribed format along with all relevant documents should reach the Office of the Regional Director, Staff Selection Commission (WR), 1st floor, Pratishtha Bhavan, 101, Mk Road, Mumbai-400020.